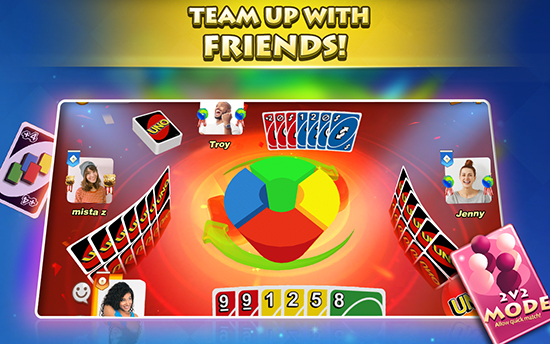 Mattel163, the first joint development and publishing venture between Mattel and NetEase releases a specially enhanced version of the world’s most popular card game today for iOS and Android devices. 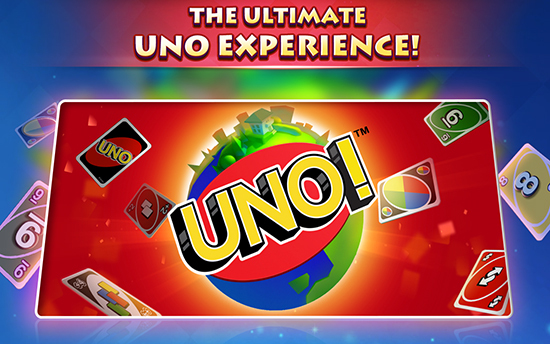 UNO!, has launched for iOS and Android devices. Previously only available via Facebook Instant Games, and in select territories on mobile, the game has already seen a staggering 45 million players to date. UNO! is now officially available to players worldwide in the App Store and Google Play. Playing UNO! on mobile devices opens-up a whole new way to enjoy the , featuring a brand-new rule set, inclusive tournaments, additional game modes and the ability to connect instantly with friends and family around the globe. Whether you’re sitting in the comfort of your home, on the go, an UNO! veteran or a newcomer, UNO! is the ultimate competitive family-friendly game! Ready. Set. UNO! 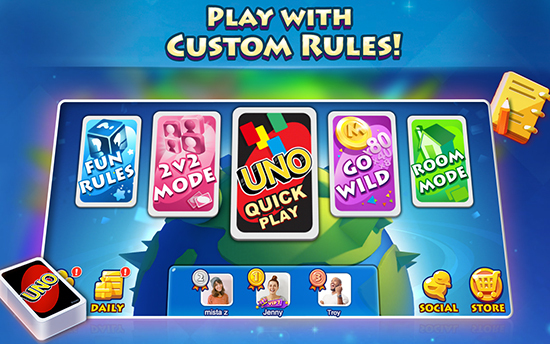 The Classic Game - Select Quick Play and start up a new game with classic UNO!™ rules. Play anytime, anywhere you can connect. ‘Room’ Mode - Invite friends and set up your own house rules. Play new cards like “Discard All” to remove one colour completely from your hand, or rules like “Stack” and watch your friends pile cards into their hands. This is the ultimate family-friendly mobile party experience that makes it easy for anyone to join. ‘2x2’ Mode - Find a friend and partner up to battle in 2v2 mode. Help each other reduce your hand (or your partner’s) to zero as quickly as possible to beat the other team! Chat - Easily connect with friends, chat with others during a match or yell “UNO!” into your device when you’re about to win. Strategize with friends or cheer others on. 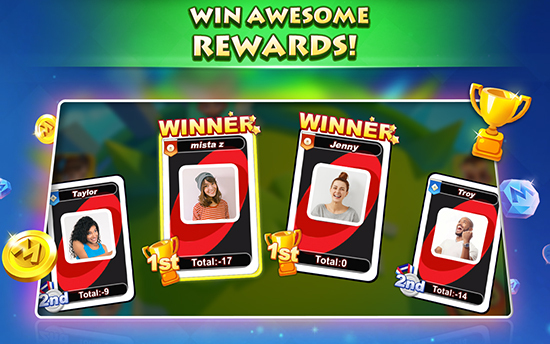 Real-Time Matches - Compete in tournaments and special events to win awesome rewards. 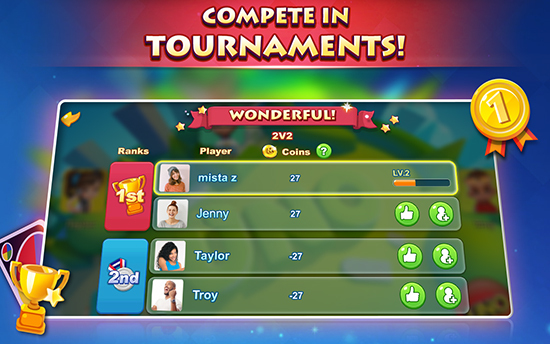 Top the leaderboards and show-off to your friends!